With CEREC Crowns - One Day Makes A Big Difference! With CEREC Crowns – Just One Day Makes A Big Difference! Have you been putting off getting that crown you need because you just don’t have the time for it? The repeated visits to the dentist office just won’t fit into your busy schedule right now. Well, what if there was a way to get the new crown you need in just one visit to our office? With CEREC one-day crowns, there is. CEREC state-of-the-art technology allows our dentists to scan, design, create, and then place beautiful, custom crowns in just hours. Only the most advanced dental offices feature this new technology and we are excited to be able to offer it at Serene Oaks Dental. Flawless restorations – each crown is custom color matched to blend in naturally. Precision – because CEREC uses 3D digital imaging you can expect a correctly fitting crown. No waiting – you get immediate results. Your restoration is made and placed in a single visit. CEREC crowns fit into your schedule! 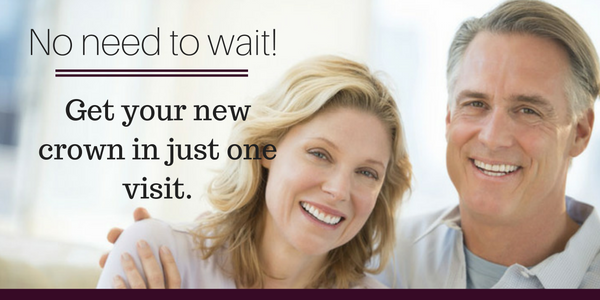 With CEREC crowns there’s no reason to wait any longer. Why not give our office a call at (847) 662-7717 or if you prefer you can contact us online to make an appointment today. 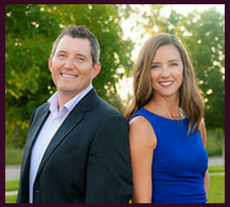 We would love to talk with you about the big difference CEREC can make to your smile, in just one day!